1. Click on the Account icon (top right corner). 2. Click on 'Edit Profile'. 3. 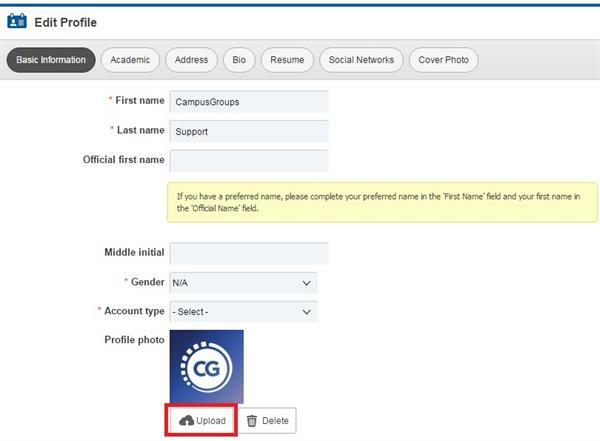 Click on 'Upload' next to the 'Profile Photo' field.